It is most assuredly Van Time. A few people have been speculating about whether or not it was the time for some vans. I have come to assuage those fears and relieve the anxiety within. The time of vans has arrived. Gaze upon the van. It’s friendly. It won’t hurt you. But don’t get too close. 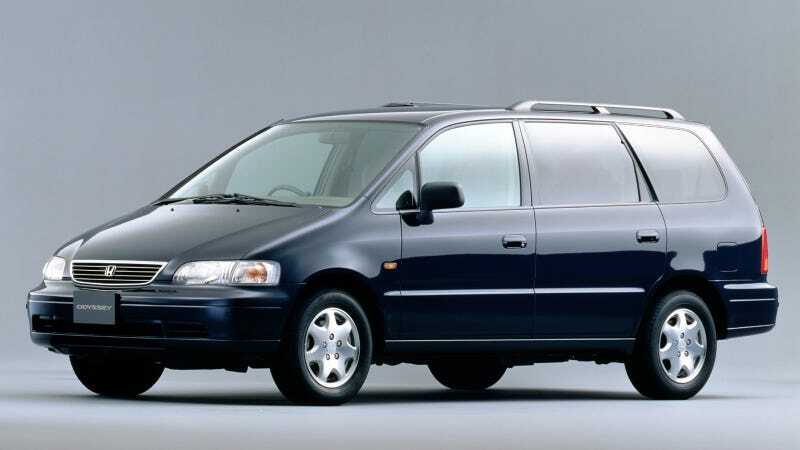 This is a van from Toyota. The engine is somewhere else. Where is it? It’s a mystery van. Big and spacious, tall and strong. Good van. Chrysler invented the small van. It was the first and last among the vans. Wood adorned the side. It was a master of nature and claimed the forest as its own. Do not despair at the sight of the mighty van. It is benevolent and kind. The Old Master of the Beach has arrived. It is a van as well. Say hello to the van. It cannot speak but it can understand. Large and gracious Father Van is approaching. Strength courses through its van bones. The large Blue Oval From The West birthed the strong van. The time for vans has come and gone. Do not be sad. It is always Van Time in our hearts.